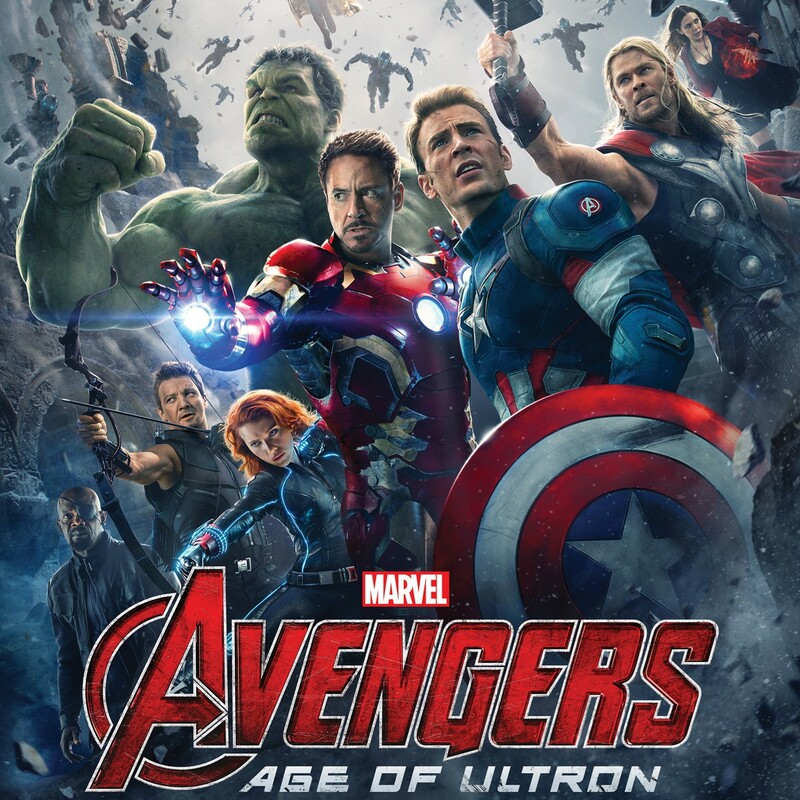 Samsung has teamed up with Marvel to offer a free limited edition set of 4 Avenger themed Galaxy Note 4 phone cases to anyone purchasing the latest generation Korean phablet. Samsung generously applies a $200 value to the cases, but I think that estimate is about 4-5 times too high. They look like pretty typical snap on plastic cases, but the artwork on the back featuring symbols of Thor, The Hulk, Iron Man, and Captain America does look pretty snazzy and is sure to draw nerd lust from all your friends. The offer is available to anyone over 18 in the US or Puerto Rico who purchases a Note 4 between May 4th and June 1st. Only 4,300 sets are available though, and they will be awarded on a first come first served basis. So, if you have your heart set on them, you had better act quick. To redeem the offer simply visit the promotion website and provide the required information to verify your purchase. The site also has a complete list of all terms, conditions, and rules. 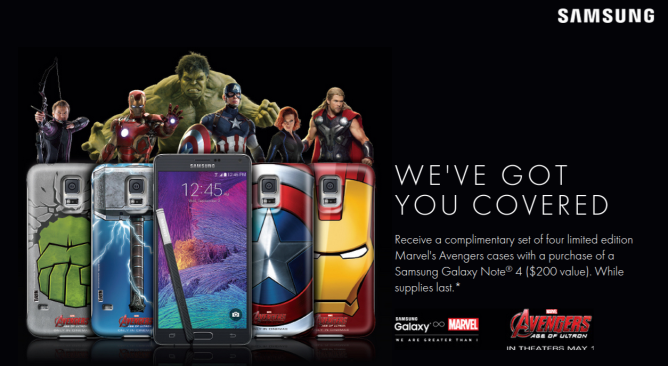 I find it a little odd that the promotion features the Note 4 instead of Samsung's newest flagship, the Galaxy S6, but maybe Marvel just wanted a bigger canvas for the free advertisements they are giving away, or maybe the cases were made up long before the S6 launch. Whatever their reason, I'm not going to spend any more time worrying about it because this mortal form grows weak from typing and requires sustenance!